We are known for providing reliable hair transplant services even in the case when patient do not have sufficient supply of hair follicles for transplantation. Our each procedure is performed with the set of sophisticated apparatus that is operated by our skilled and experienced surgical team. We are pioneered in Jalandhar, Punjab in developing excellent body hair transplant solutions that can give satisfactory results to the patients with higher expectations and requirements. Dr. Mohan is not only expertise in using scalp hair for transplantation but also in using body hair for hair restoration with natural look. 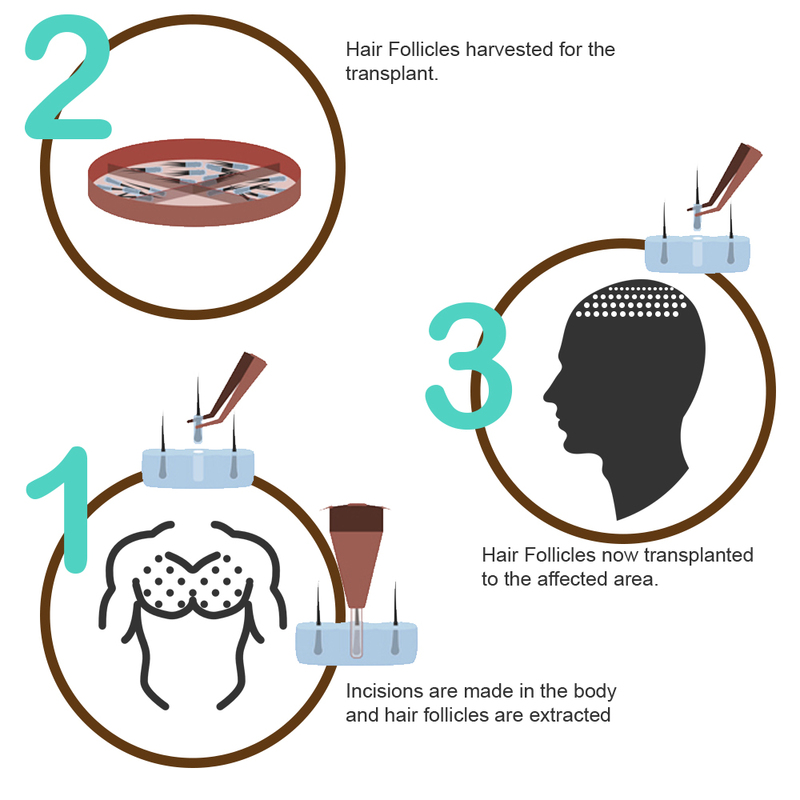 In many cases of hair loss, patients do not have sufficient hair follicles for transplantation so they are not counted as ideal candidates for hair transplantation but they can go for body hair transplant means transplantation of body hair to scalp hair. In such cases hair follicles are extracted from body parts and according to exact match transplanted on the scalp. In BHT hairs are taken from Beard, shoulder, Abdomen, legs, arms, chest, underarm or even pubic hair. BHT has been done with the FUE procedure so that patient can have natural look without scars and pain. Same as the normal hair transplant, in case of BHT also patient must be hale and hearty with realistic expectations. Other than this basic conditions patients who have weak donor area means insufficient supply of donor hair follicles, undergo this procedure. Even sometime patients have some scars due to burn or injuries in that case also patients go for this procedure. Some patients do not have stable zone on scalp due to repeated hair transplants or have extreme level of baldness then also they go for body hair transplant. However body hair transplant is not considered suitable for female candidates. As body parts have limited supply of grafts so there must be careful approach and use of right technique for extraction and transplantation so that damage of grafts can be reduced. Grafts are chosen in case of BHT on the basis of their exact match with the scalp hair so that person can have the undetectable results after BHT surgery.